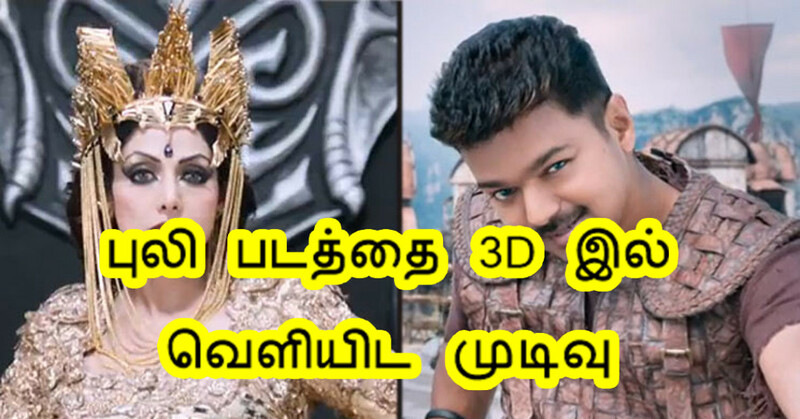 Home Hot News Actor Vijay’s Puli planned for a 3D release ! Actor Vijay’s next film “Puli” is set to release worldwide on October 1 and the craze and expectation for this movie is increasing day by day among his fans. The Production team is making all possibilities to increase the hype for the movie day by day. As Vijay has a lot of Children fans the production team has planned for a 3D release of this movie only in specified theaters. Only few 3D prints of the movie is planned . The grand sets of the palace , the grand visuals and sword fights will be a highlight while watching in 3D !